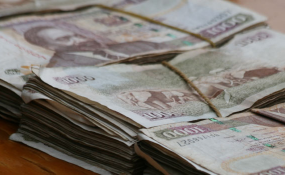 Kenya: With Billions 'Stolen', How Rich Are Kenyans to Be So Tolerant? Whereas I applaud the government's efforts of eradicating corruption, many will agree with me that we have been down this road before. Promise after promise was made to bring perpetrators to book but very little has been achieved. Many who embezzled public funds in the years gone by have reaped generously from the fraud and living large locally and abroad. I am impressed by the efforts being made in the slums of Bangladesh, Mombasa, where residents have taken upon themselves to demand proper accounting of 'their' CDF funds. They have started a small movement to hold the authorities to account. This is a model that needs to be 'copy-pasted' by Kenyans across the country. Communities must have a say in how and when projects are initiated and implemented. It will impact on their lives, after all, and it is their taxes. We have witnessed many cases where police officers have been deployed by individuals who have grabbed public land or evicted residents from their homes with a deafening silence from the State. Dunga Unuse, at the coast, is a case in point. Their ancestral land, a beautiful spot by the sea, has become a target of "private developers". It is important that the "ordinary" mwananchi understood that Kenya is theirs, too, and does not belong to corrupt leaders and individuals alone. The northern counties are suffering at the hands of insensitive leadership that has no ears on the ground to know the people's plight. Don't blame the weather but poor local governance that fails to plan early to mitigate perennial hunger among the nomadic communities. The author is a legal researcher.